Liz duPerier joined the Croft Institute staff in July 2015. As Operations Manager, she is responsible for all of the financial operations of the Institute, as well as the building, student workers, and many other dimensions of the day-to-day life at Croft. 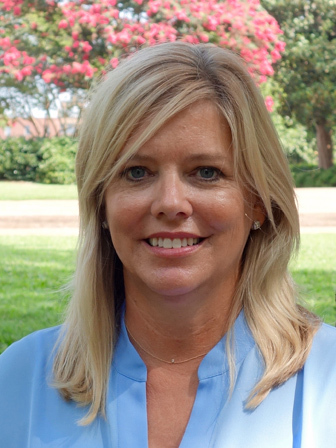 Prior to joining the Croft Institute, Liz worked as the Administrative Coordinator for the Admissions Office at the University of Mississippi. She graduated with a B.B.A. in Business from the University of Mississippi in 1988.